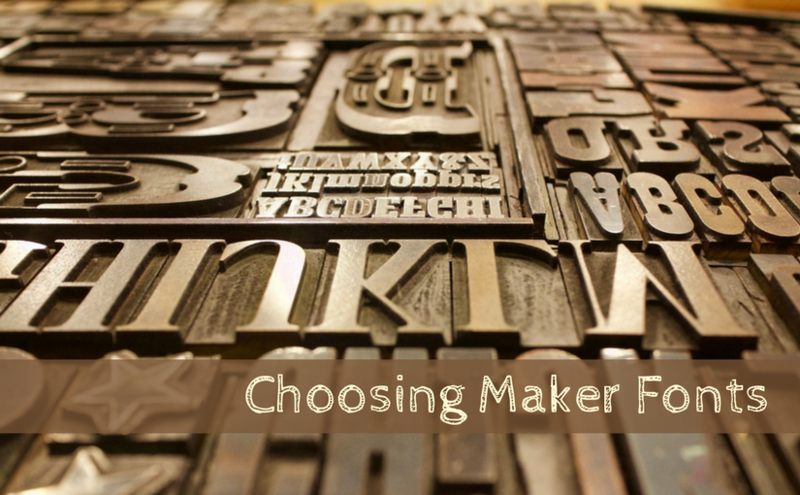 Carefully selected fonts can give your project that custom look, but some fonts just don’t match some projects and don’t work well on some machines in a makerspace. This post will walk you through selecting fonts based on your project goals and the tools you will be using. Free Fonts: Let’s start with where to find a free font that is not already installed on your computer. After spending far too much time comparing free font sites, one stood out above the rest: fontspace.com (no, I do not have a financial or other stake in this company). Why? Dafont.com comes in a close second and I often check it as well as fontspace when I’m on the hunt. MAKER TIP: Check the character map of any font before downloading to be sure it has the specific characters you want. Some will only have caps (but no lower case), some will not have numbers, some will have few or no special characters or characters with accents. Renderable: If you’ll be using the font with one of the machines in your lab, be sure that it will render well on your chosen machine (more on that to come, it’s the primary focus of this post). Suitable: Choose a font whose look and feel matches your project goals in terms of formality, modernity, and structure. Need guidance here? Google “how to choose fonts” and you’ll be well on your way down the rabbit hole. Readable: Make sure your chosen font is readable at the size, distance and setting that is realistic for its use. Fonts appropriate for an 8′ sign may be wholly inappropriate for a 2″ x 2″ sticker. When we needed a font for the Sea Bot, a water-based ROV, I chose the free Ocean View font for its built-in waves and horizon. It looked great cut in navy blue vinyl and attached to the white PVC pipe of the ROV. MAKER TIP: Free fonts, especially specialty fonts like Ocean View, often have flaws that become apparent when blown up to a large size. Be sure to check carefully things like rounded corners and small details at the full size you will be using before investing further time and materials. Font Selection for Vinyl Cutting: Vinyl used in vinyl cutters consists of two layers – the vinyl itself and a backing layer to which the vinyl sheet adheres. Vinyl cutters rely on a small sharp blade to cut through the vinyl yet not cut through its backing paper. Once cut, the designer then removes some of what was cut, but leaves the rest behind. In the Sea Bot example, everything you see in blue was left on the backing paper while the white portions were cut and removed. Extremely fine detail (which to a certain extent will require trial-and-error to identify), and gradations in color or shading are not feasible on a vinyl cutter. In the Sea Bot example, I removed the fine line immediately above the waves when I weeded out the parts I wanted to remain white because it was simply too slim to render well on my vinyl cutter. MAKER TIP: Weeding – the removal of the parts of the vinyl you don’t want post-cutting – can be time-consuming and requires patience and a very steady hand for cuts with lots of detail. Some people find detailed weeding to be tedious and frustrating and it can be difficult for those with vision or dexterity challenges. The counter in this “p” is shaded in red. Font Selection for Laser Cutting: Like vinyl cutters, laser cutters also prefer clean fonts with crisp lines and curves. Unlike vinyl cutters, laser cutters also usually avoid fonts with fully enclosed spaces found inside letters such as a Bs and Ps and Os. Typographers call them “counters,” and when these enclosed loops are cut on a laser cutter, they move freely and fall away when the cut is moved (unlike when they are cut on a vinyl cutter and the underlying backing paper keeps them attached and aligned). The solution? Fonts that do not have fully enclosed counters. The example free fonts below, Videopac, Bemydor, and the Sargento Gorila (sic) font, are good for laser cutting. Notice the lack of fully enclosed counters. Font Selection for Laser Etching or Engraving: Unlike when you are laser cutting or vinyl cutting, when you are laser etching you can approximate shading and much finer detail. Lasers cutters can even etch accurate representations of black and white photos. You can use any font you want when laser etching. Woohoo! Go wild. Of the processes discussed in this post, only laser etching will allow you to render the messy Misdemeanor font, or others like it, with any accuracy, although this font is particularly difficult even for etching due to the fine gradation in shading. Font Selection for 3D Printing: Consumer-level 3D printers, like those found in most makerspaces, generally offer the lowest level of renderable detail of all the machines we will discuss. And, letter quality differs based on where you are putting your lettering. The rendering of letters on the x-y plane depends heavily on the size of your extruder nozzle (among other things). The rendering of letters in the z plane, on the side of an object, depends heavily on the accuracy of your printer itself (among other things). The serifs on these letters are shaded in red. Good fonts for 3DP have little detail, and no shading, especially when rendered at smaller sizes (the exact limitations of which will need to be discovered by trial and error based on your printer). Avoid fonts with very fine lines and serifs -those little feet you see on some fonts. 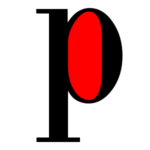 Many 3D printers also have particular challenges with tittles – the little dots on top of a lower case i or j – in the x-y plane, as they can create strings. So, what are you looking for? The best fonts for 3D printing have a similar, fairly heavy, line width for the entire font. You might already have Arial Bold or Verdana Bold on your computer. Or, you could try the Digitalt font or Nevis font if you want to branch out.